My hostel was in a central location, close to the main station, which was essential for this trip. However, I did not like it much. Instead I will advise one that my friend was once promoting to me (could be a bit pricy, but it is made of former prison cells) – http://langholmen.com/en/vandrarhem/. An important thing to remember about accommodation in Scandinavia is that hostels usually charge extra for linen and towels. Thus, when planning the trip, try to find a place where it is included or pack your own. 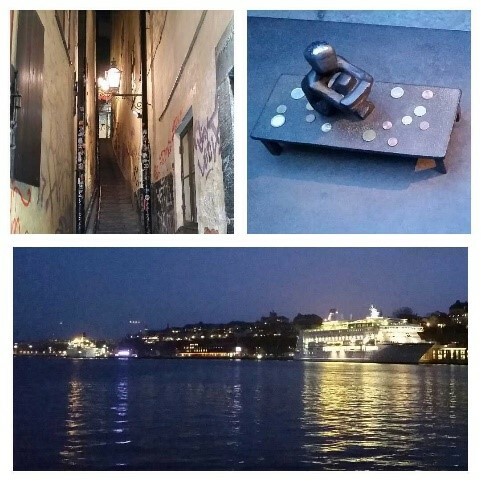 To get to know the city, I took two free walking tours. It is a popular concept around the globe when people pay tips to the guide instead of paying for the tour. 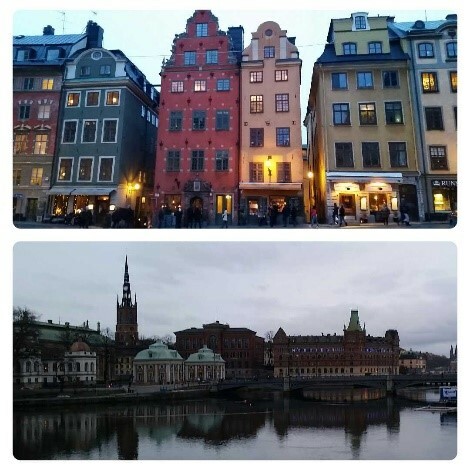 The Stockholm one was not the best, but absolutely ok, informative and interesting – http://freetourstockholm.com/. So all main attractions were covered. It is no secret that food is expensive in Sweden. Unfortunately, being there at the weekend I could not enjoy the lunch offers that almost all cafes/restaurants have. From around 11:30 a.m. until 2:00 p.m. on week days the lunch menu is half-price. 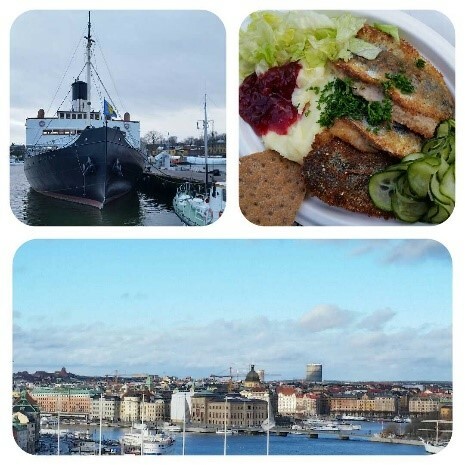 Scandinavian-style fast food (near the metro station Södermalmstorg there is a kiosk with herring, you can add different sides to your dish, one of each is cranberry jam, the kiosk is very visible and difficult to miss – http://www.tripadvisor.co.uk/Restaurant_Review-g189852-d2201594-Reviews-Nystekt_Stromming-Stockholm.html). In this area if you climb a little up the hill you can have a nice view of the city. Remember that there are no public restrooms, so be sure to use the ones in the museums and cafes you are visiting. Sometimes even not necessarily visiting, just passing by. The Old town is a must, especially during the daytime when all the shops are open. There are lots of souvenirs here, the prices are almost the same everywhere, but you can find some special deals. 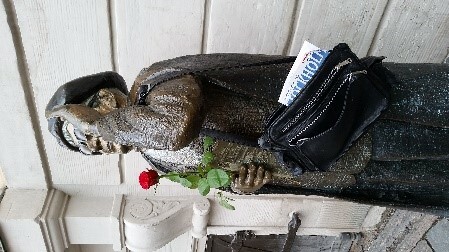 Here you can also find the smallest statue in Stockholm (“Little boy looking at the moon” will make your dream come true if you give him a coin and touch his head) – http://en.wikipedia.org/wiki/J%C3%A4rnpojke. 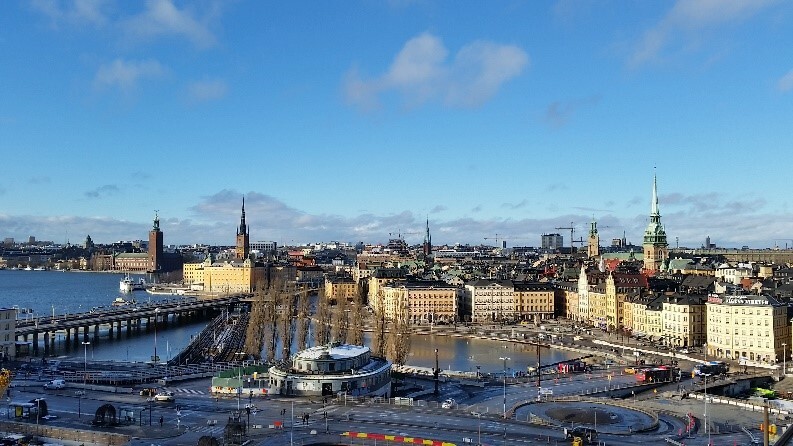 If you decide to check the change of the guards in Stockholm, you may find the schedule here – http://www.stockholmgamlastan.se/lang_en/se_gora/hogvakten.php. It is important to come there at least 15 minutes in advance and keep your best spot. 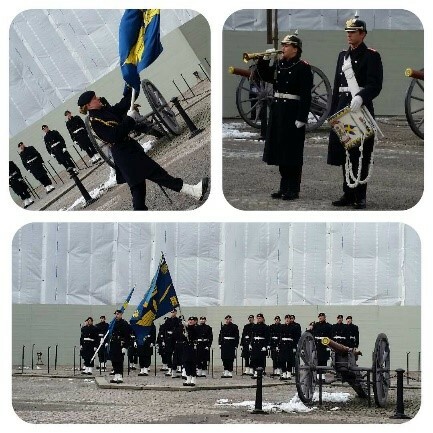 To be honest, it was not very impressive and it was way too cold and windy, but sometimes they march and play ABBA music, this one I would love to see (https://www.youtube.com/watch?v=qxHowu6Ip-U). The metro is actually one of the city’s most affordable attractions, some of the stations are carved and look like caves. In the evening when all the museums are closed and the city, which is barely lit, becomes dark, having a metro ride could be a nice option – http://www.visitstockholm.com/en/See–do/Attractions/art-in-the-subway/. If you are taking a ferry from one island to another it is cheaper to buy it in the machine than at a counter nearby. Students have a discount! 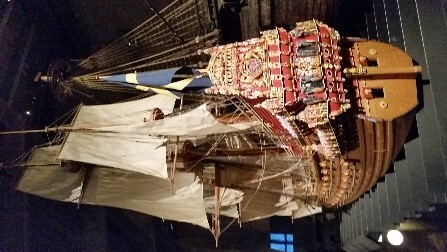 When I was asking about the b est museum I should go to in Stockholm, everyone said – Vasa. So I did. The ship is very impressive, amazingly preserved from the 17th century. It is rather dark in the museum, there are several more corners inside the museum worth visiting (the reconstructed interior of a cabin, 17th century life, etc. ), but still the main attraction is Vasa itself. The museum guides give free tours in different languages, check the timing in advance – http://www.vasamuseet.se/en/visit/Guided-tours/ (I was lucky to be on time for the last one that day) and do not forget that they have special prices for students. 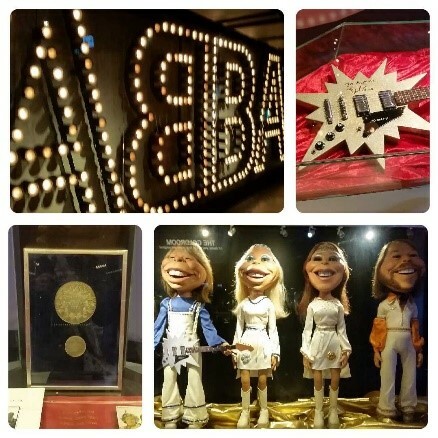 The museum opens until 5:00 p.m.
For me a more interesting place was the ABBA museum. Consider going there if you are a fan and put aside about 2 hours for the visit. It will be much better to go there with a company as solo travelers get a bit less of fun. It is a very interactive museum. You can record yourself singing ABBA songs, being in their video clip and even performing with their holograms on stage. You have a special code on your ticket that gives you access to your personal page on their website where you can download all the recordings. The museum is expensive and cashless: it is much cheaper to buy the ticket online in advance and you cannot pay there in cash, even for a small souvenir. I was late for my bus to the airport, but luckily there were several people that did not fit on the bus. So, the bus company provided us with a taxi to the airport for a bus ticket price. If we had paid for the taxi, it would have been 5 times more expensive than my Ryanair flight. Something nice, which can happen only in Sweden, I guess.